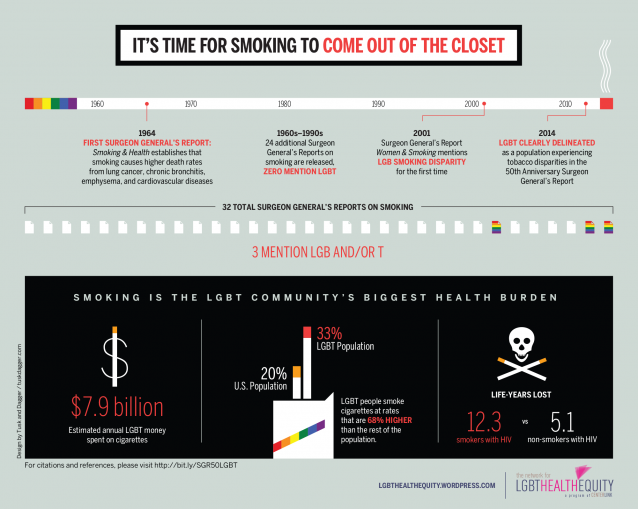 Numerous other studies have similarly found that not only are LGBT people more likely to smoke, but also less likely to quit. Three main factors contribute to these high rates of substance abuse: minority stress, a health care system that doesn’t recognize the unique needs of LGBT people, and targeted marketing by tobacco companies in LGBT publications. In particular, tobacco companies have engaged in predatory marketing particularly when it comes to menthol-flavored cigarettes, the only kind of flavored cigarettes that the Food and Drug Administration did not ban in 2009. Posted January 21st, 2014 & filed under Health. Ask Dr. Lonna: What can I do about crushed discs and pinched nerves? Hypnosis is a powerful intervention. Smoking is an addiction and a HABIT. Habits are deeply embedded in the subconscious mind. Hypnosis accesses this part of the mind and positive suggestions are implanted. It may take several sessions, but if you really WANT to quit and you are open to this natural process (hypnosis) , very good odds you will snuff out this bad habit! !